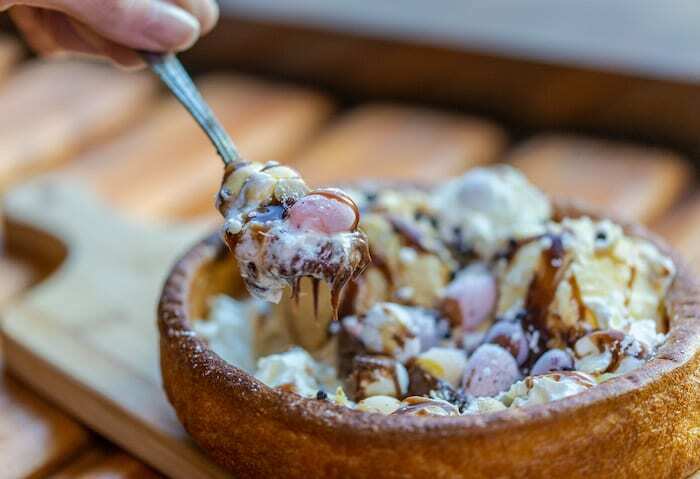 If you thought we’d reached peak Yorkshire pudding in Manchester, then think again. 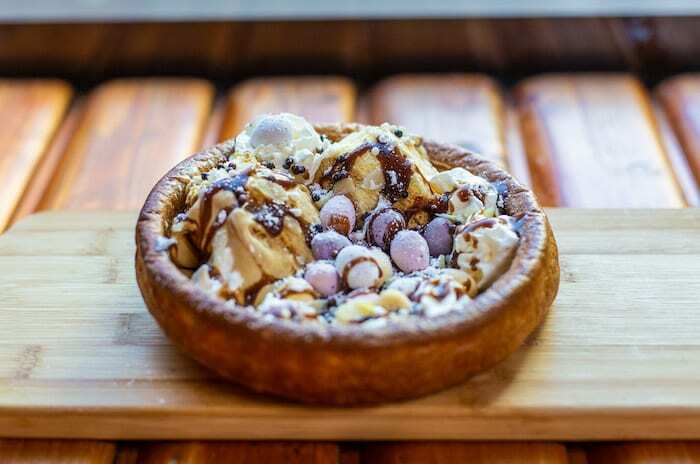 For the masters of all thing Yorkshire pud, Porky Pig, have unveiled their first ever DESSERT version, hot on the heels of getting everyone quite excited about their pizza pud last week. 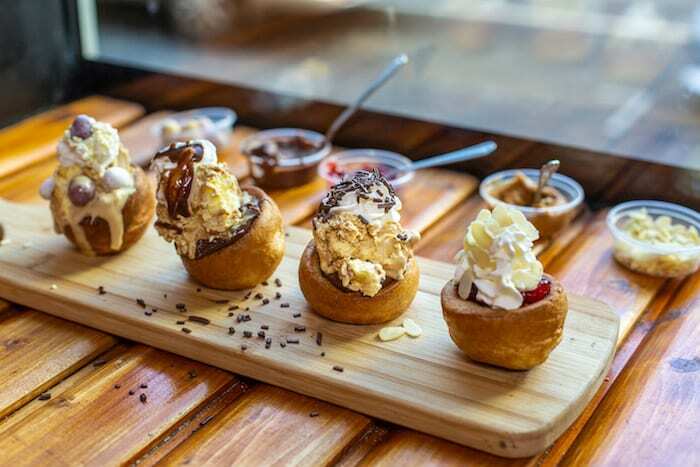 Yep, the humble Yorkie is now being filled up with a whole range of different sweet treats on the Cooper Street restaurant‘s new dessert menu. 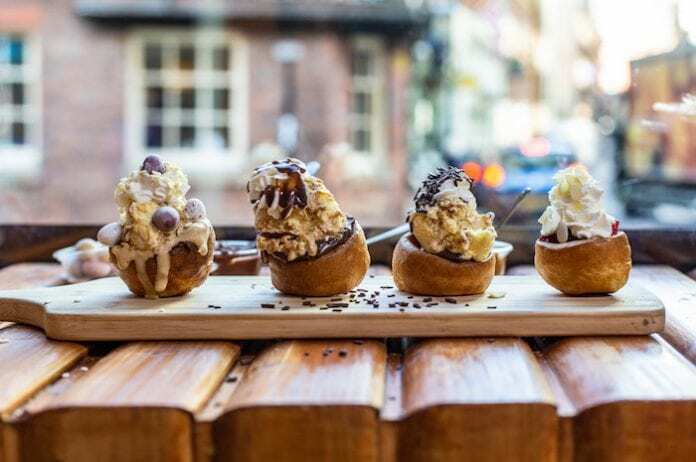 You can plump for a mini Yorkshire pudding filled with four different flavours including Nutella, ice cream and mini eggs, peanut butter or even an “afternoon tea” version with jam and cream – all priced at £3. Or take on one of the giant puds and get a mix of all of the above for £5.50! The sweet-savoury mash up is not as odd as it might initially sound, given that the Yorkshire pudding’s batter-like makeup is not all that different from a pancake. And having tested one of the mini puds, we reckon it tastes very pleasantly like a giant profiterole. Porky Pig owner Eddie Osman says: “We knew last year it was a good idea but it was about timing for us, because every time we create something new in here we create chaos! “We wanted to get the Christmas markets out of the way, and now with Easter coming up it seemed the perfect time to bring out the desserts. “We do sometimes get stick from people saying ‘you’ve ruined a Yorkshire pudding because of what you put in it’ but don’t knock it ’til you’ve tried it. 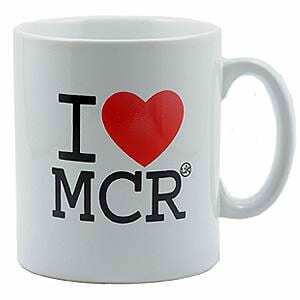 Eddie’s Yorkshire pudding wraps have been the must-try food at the Manchester Christmas Markets for the past couple of years, but they’re also available all year round at his Cooper Street restaurant near the Town Hall. 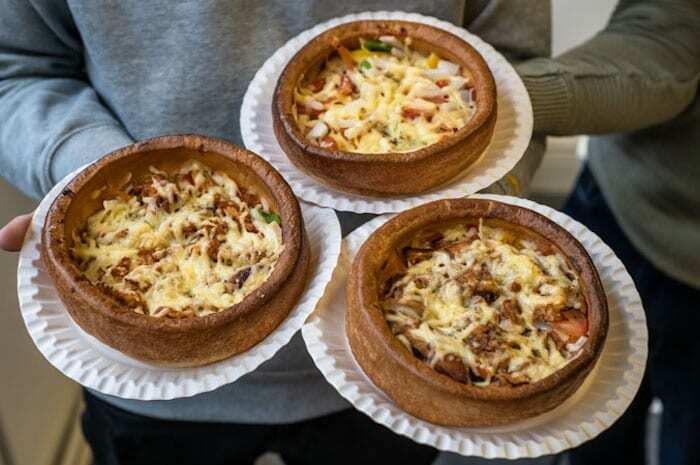 He unveiled his Yorkshire pudding pizza offering last week – it consists of a choice of toppings and melted cheese on a tomato base, baked in a giant Yorkshire pudding, from £6. 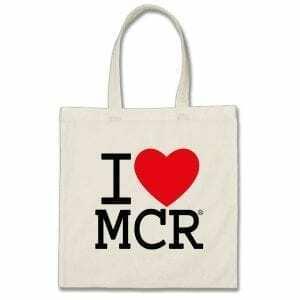 Meal deals, which include a Porky pizza, fries and a can, start from £8.50.